15 But the free gift is not like the trespass. For if many died through one man’s trespass, much more have the grace of God and the free gift by the grace of that one man Jesus Christ abounded for many.16 And the free gift is not like the result of that one man’s sin. For the judgment following one trespass brought condemnation, but the free gift following many trespasses brought justification. 17 For if, because of one man’s trespass, death reigned through that one man, much more will those who receive the abundance of grace and the free gift of righteousness reign in life through the one man Jesus Christ. 1. To whom is Paul speaking in this chapter? Christians? Non-Christians? 2. According to verses 3-5, for what reasons should we rejoice in times of suffering? 3. What kind of people did Christ die for? (6-8) What do these verses say to the person who thinks she has to get her life cleaned up before coming to Christ? Would you be willing to die for a good person? 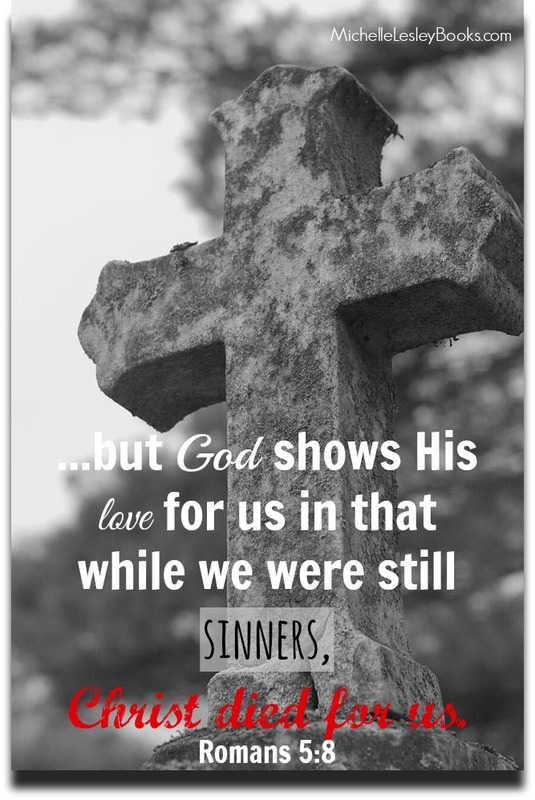 What about someone who has sinned against you as much as you have sinned against Christ? 4. Verse 12 says that sin entered into the world through one man. Who was that one man, and how did he cause sin to enter the world? 5. This chapter talks a lot about justification and reconciliation. Re-read the verses that mention these words. What does it mean to be justified before God? What does it mean to be reconciled to God? Whose actions justify and reconcile us, and what were those actions?